Lubos Rety is a Former Professional Soccer Player MLS with Chicago Fire. Lubos also played in European International Soccer Competitions as a former member National Soccer Team Slovakia. Mr Reity holds UEFA Pro License which is the highest soccer coaching license in the world. Coach Reity has served as an Assistant coach for Slovakian 2 Premier Soccer League Teams AC Trencin and MFK Zilina and is now Head Coach of Slovakian 2nd Soccer League Team. Europa Soccer Camp is excited to have Lubos Reity directing Europa Soccer Camps in Massachusetts. 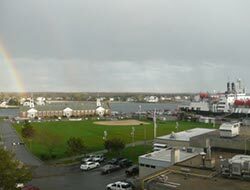 Europa Soccer Camp is located in Cape Cod Massachusetts, at the mouth of the scenic Cape Cod Canal. 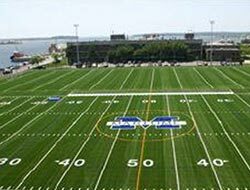 Massachusetts Maritime Academy is the ideal facility for Europa Soccer Camps. 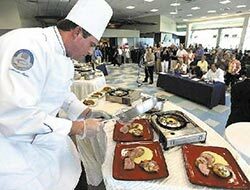 The state of the art facilities at Massachusetts Maritime Academy feature athletic fields, gymnasiums, dining hall, residence halls, and conference areas are all located on the banks of the scenic Cape Cod Canal in Massachusetts, surrounded by beautiful water views. 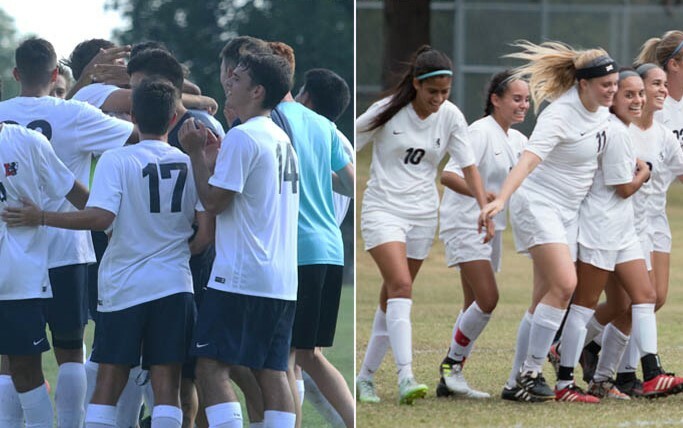 A 2000 seat soccer stadium is home to Europa Soccer Camp complete with a press box, built in 2010, overlook our side-by-side synthetic turf soccer athletic fields where campers attending Europa Soccer Camp train dailey. Our grass soccer fields are also outstanding. 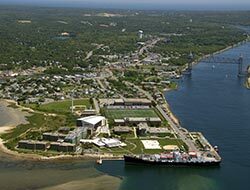 Ariel View of Europa Soccer Camps at Mass Maritime Academy on Buzzards Bay, Massachusetts. 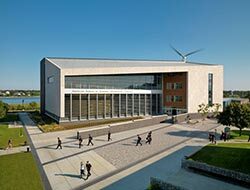 Mass Maritime has modern expansive campus surrounded on 3 sides by water. Glass-walled on its two water sides, it provides fine views of Buzzards Bay, MA and the Cape Cod Canal. With food-court-style service, our campers have a wide variety of dining choices. 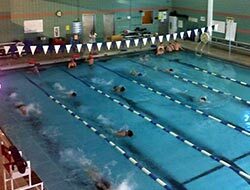 Dailey swimming in the Mass Maritime Swimming Pool.